We’re only a hundred miles or so from the “path of total darkness” during the August 21, 2017 solar eclipse, so we got a pretty good look at it. 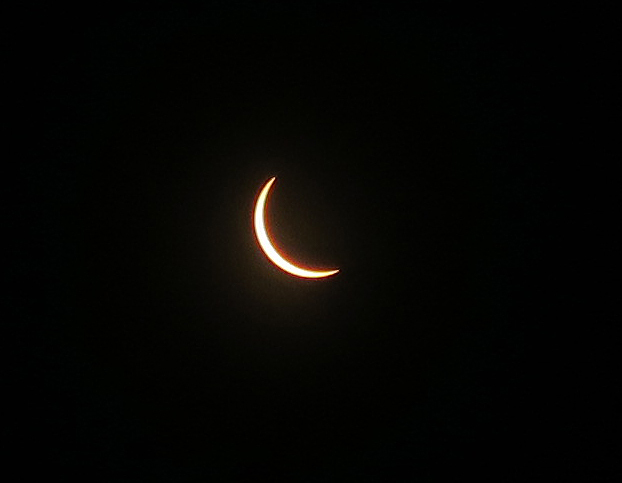 It got darker and cooler and the skies were clear so we got a good view with our eclipse glasses. It was a pretty big event, the local library had an eclipse viewing party and there were people everywhere standing outside looking up at the sun with eclipse glasses on. We watched the eclipse for a couple hours with our neighbors, the Great American Eclipse was over and it was back to everyday life.